This entry was posted in Poetry, recording and tagged art, cooking, creative writing, food, life, love, poems, poetry, recording, writing by robert okaji. Bookmark the permalink. Do I hear bacon sizzling in the background? Nice touch, Robert! Very nice! Of course! What better way to celebrate this wonderful food! Oh, YES! Wonderful sound effects, and also well read. Bacon indeed worthy of hyperbole. Thanks, Merril. I had fun with this one! For Valentine’s Day I’ve ordered a special small batch bacon to give Studly Doright. I’ll read him your poem as well. He’s ridiculously difficult to buy for, but he really likes bacon. As long as I am not expected to cook it! Apologizing for crass commercialism, but “Ode to Bacon” should be adopted by some small batch bacon provider. 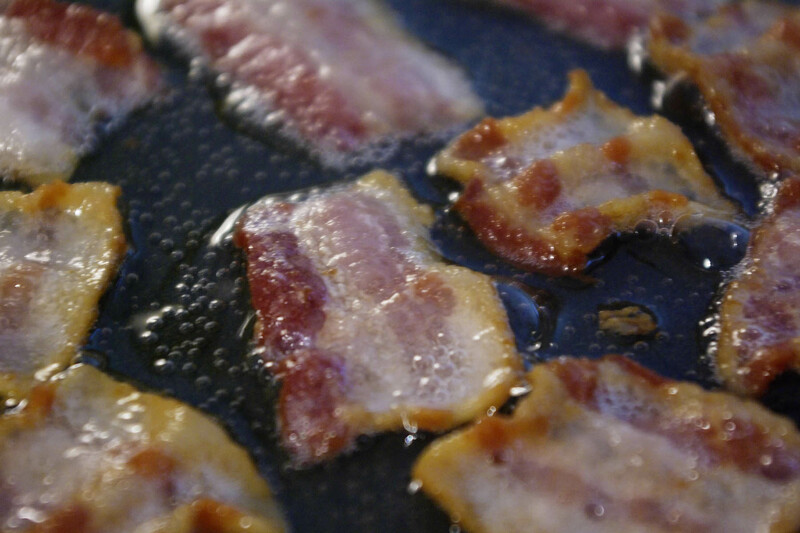 You made me hungry – I too loved the sound of bacon sizzling in the background! If we could only capture the smell! Love the bacon shape of this poem. And yes, I’m with you, but not every day, LOL. I ate bacon for breakfast, and was thinking that it wouldn’t be bad for lunch… But I’ll resist. I think. 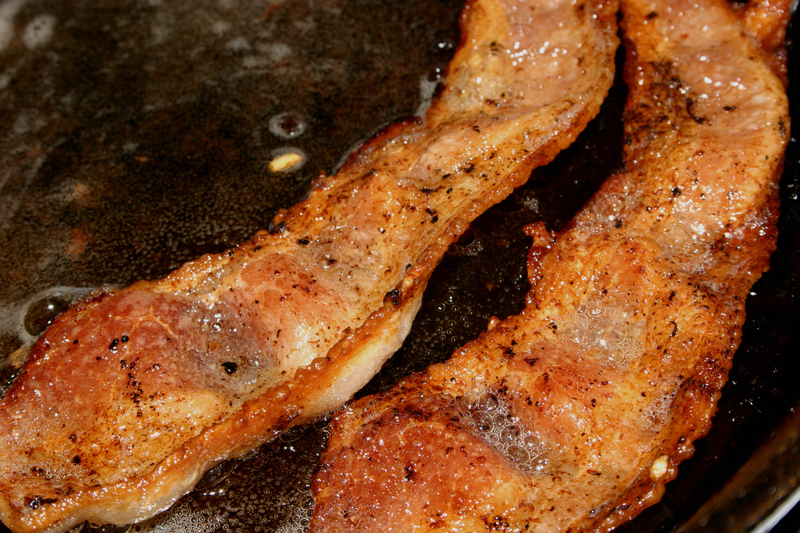 There’s nothing like sizzling bacon to whet the appetite! It is a wondrous sound! Thanks, Kelly! Bacon inspires me. Ha! Ha! That’s all I need! I must confess that I’ve made a rather tasty chocolate-bacon fudge, and my bacon jam is mouth-watering! Thnaks very much, Sam. I’ll be sure to visit your blog.